There are many uncertain things in this world but our everlasting inheritance is NOT one of them. Our God and our Father has secured an inheritance for every one who has received the free of gift of His Son's life that is incorruptible, undefiled and will never fade away. No matter how unstable things become around you, you can bank on this promise to be unshakeable! Because of the abundant mercy of the Triune God, we can hope in a special place in heaven that is reserved just for us! It is more certain than the ground that you are standing on right now. Father, we thank you for your abundant mercy expressed through the resurrection of our Lord and Savior, Jesus! When times get tough and the near future looks bleak, may we lift up our eyes to see the amazing future that is in store for us and may we be filled with hope knowing that you really are a faithful Father. 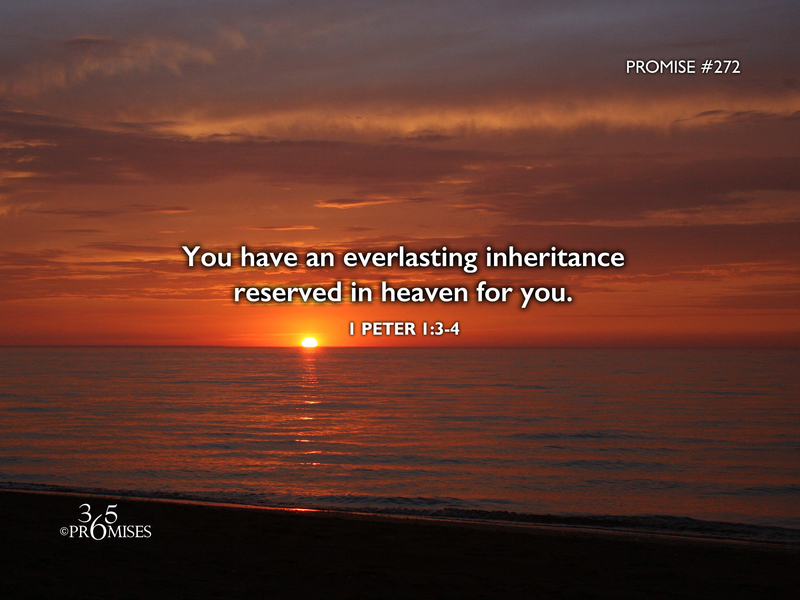 Thank you for our incorruptible inheritance that will never fade away!